How do I redeem a coupon/promo code? You can do this on the checkout page. Click the "Use code" button. Enter the coupon code and click the arrow to input it. 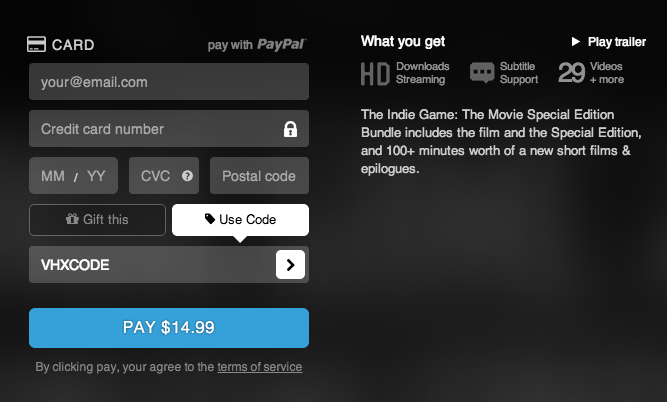 If the code was for a free copy, you will be able to click Redeem and watch immediately. If the code was for a discount, you will need to enter your payment info to complete the payment.